Solar home heating and solar space heating is possible because of the higher output of heat energy that solar evacuated tubes provide. Combining solar water heaters with both domestic hot water and space heating maximizes the return on your investment. Our solar heating system easily adapt to any form of home heating including forced air furnaces, radiators and hydronic floor heating. Even integrating solar with Geo Thermal is possible! Solar Water Heaters are the easiest way to harness the sun’s energy directly. Heating water using solar goes back as far as 1892 when the 1st solar water heater was used in a residential application. With the tax incentives available in North America and Worldwide, solar water heating has exploded in popularity. Northern Lights pre-packaged solar water heating kits are easy to install and provides unprecedented performance and safety. Commercial applications such as hotels, Laundromats, car washes and restaurants are all high consumers of hot water and solar water heating an ideal solution to save1000’s of $. Solar pool heaters are one of the most common examples of solar water heaters. Unlike traditional black plastic mat systems, we use high performance solar vacuum tubes system with a heat exchanger in a closed loop. 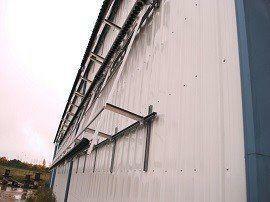 This type of system is not affected by wind conditions and works on cloudy and cold days. By separating the pool water from the solar pool heater, there is no internal damage that is normally caused by chlorine or salt water. Our solar pool heaters last up to 4 times longer than plastic mat systems. 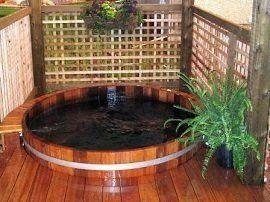 Solar Hot Tub Heating is also a very popular way of using solar energy to save $. Perhaps the greatest opportunities for solar water heaters is for solar commercial applications and industrial process heat. Any business that uses hot water such as car wash, hotels, laundry facilities, pool, and agriculture industry are a few of the primary sources for commercial solar heating system. Our pre-engineered commercial systems make design and installation quick and worry free. With so many government grants, paybacks can be seen in only a few years. We offer free design and installation support for all our commercial solar water heaters. Northern Lights Solar Solutions is a world leader in providing pre-designed and pre-packaged solar water heaters for residential and commercial applications. Our solar heating designs are pre-engineered to provide quick and easy installation with maximum performance. We specialize in solar vacuum tube heating solutions which provide superior winter heat performance for colder climates. The same vacuum tube technologies are also used in our solar pool heating systems to provide reliable pool heating that last 4 times longer than traditional solar pool heating methods. Solar Vacuum Tubes provide up to 94% efficiency and unlike other solar water heaters, they do not lose their heat energy to the surrounding outdoor air. Even in -30 weather conditions, the solar evacuated tubes still supply heat energy to the heating system. Our Solar Water Heaters can reach much higher operating temperatures and are great for other applications such as solar space heating and industrial process heating. 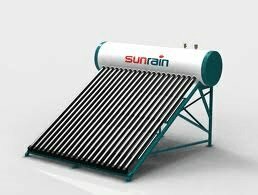 All our DIY solar water heaters use award winning SunRain Solar vacuum tubes. 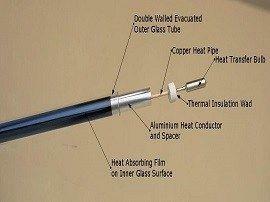 SunRain is the global leader in providing solar evacuated tube heaters using heat pipe technology. These solar heaters have a 10 year warranty and have the highest solar performance rating by the SRCC (Solar Rating Certificate Corporation). Our DIY solar heating kits are both OGG 100 certified and OG-300 certified and as such qualify for US federal and state rebates and credits. Our system are also CSA certified under both F3798 and F379 requirements for solar water heater installations in Canada. We also offer complete compact solar water heaters which have the same heat pipe vacuum tubes built into the 80 gallon stainless steel storage tanks. 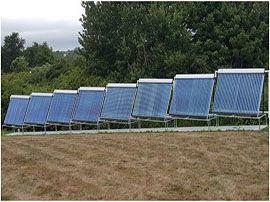 These are the most economical way of providing domestic hot water needs using solar energy. These complete units are OG 300 certified for USA tax credits. The unit is normally placed on the roof or ground mounted. These integrated solar water heaters are ideal in warm climates that experience little freezing conditions. They are ideal for solar in southern USA, Hawaii and the Caribbean. If you need help in sizing a solar water heater please give us a call 1 800 317 9054. We have pages of information to help inform you about the various components of our solar heating kits. If you are looking for parts such as solar piping, solar controllers, solar heat exchangers or solar water tanks. Please visit our pages or call or email us any time. 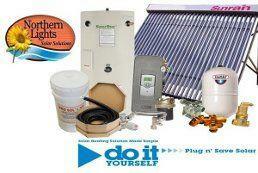 Our solar water heaters come complete as a turnkey package with every component included. This allows any home owner or business to quickly install a successful water heating system with little to no experience. By using special Aurora FlexTM stainless steel solar line sets, there is no need for soldering experience and the system connects with simple quick connect fittings. All our system come standard with dual zones expansion ability which allows owners to maximize their return by providing heat to multiple zones such as domestic hot water and a pool or a hot tub, or space heating in the winter and pool heating in the summer. Our solar tanks have dual heat exchanges built in. The bottom heat exchanger delivers the solar energy to the storage tanks and the top heat exchanger is used to move the heat energy to a secondary source such as infloor heating. Our Systems are comprised of solar heating components sourced from the leaders in the industry such as RESolTM solar pump stations and controllers made in Germany, ZilmetTM hi-Temperature expansion tanks from Italy and SolarStorTM hot water tanks with UL certification manufactured in the USA. By providing pre-designed and pre-engineered systems, users can be confident that the performance of the systems and reliability are guaranteed. We even go as far as providing users with the optimize system programming so that users can quickly maximize the systems performance as well as delivery the highest ROI in the industry. 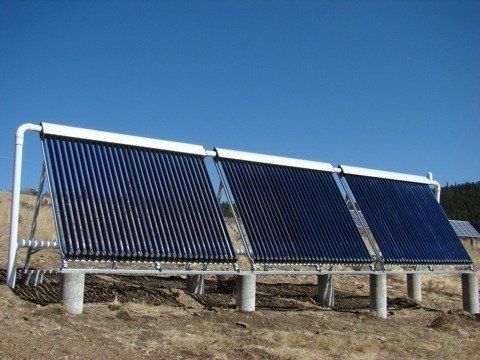 We also have solar flat plate solar collectors that are ideal for solar domestic hot water in southern regions that experience mild winters with minimal freezing temperatures. These flat plate collectors are also economical for solar pool heating in summer months with very good performance in hot climates. Similar to our solar vacuum tube collectors, these flat plate collectors are fully certified by SRCC and as such are eligible for rebates and tax credits! 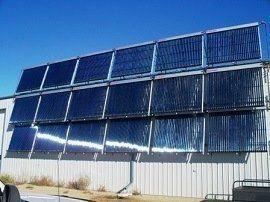 For more information on solar flat plate collectors click below. In the attempt to go green, many of us are tempted to look to the sun for are heating and energy needs. However, despite the upsurge in renewable and sustainable forms of energy being sold the overwhelming majority of homeowners remain reluctant when it comes to making the switch. Residential solar water heating is one of the areas that many neglect. The homeowner will achieve several advantages by switching to residential solar water heating. As with other forms of solar energy one of the many perks will be a significant reduction in their energy bills. Are you looking to save money on your monthly electric bill? Are you in the market for a solar hot tub in the USA? The price of energy utilities and the price of gas has been a growing issue. Though you may be interested in a hot tub for personal pleasure, what type of hot tub should you buy? More and more American citizens today are becoming aware as well as concerned about the cost and over use of energy. In the coming years this issue will arise repeatedly until a solution or solutions are found. Ever consider converting your house over to a solar home heating system? If so then you are not alone. Daily, home owners begin to take the plunge into renewable and sustainable sources of energy. However, many go in to soon without having some basic questions answered. It is true that solar energy can save you money in the long term and can provide adequate heating and light but you must choose the correct solar home heating system for your type of house. Otherwise you’re risking the value of your home and serious money. 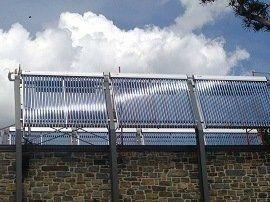 All solar heating collectors have a negatively sloping temperature vs efficiency curve. The negative efficiency means that as the fluid temperature increase, the power output decreases. The previous graph shows the Sunrain TX58 1800 30R collectors’ solar vacuum tube efficiency curve as per the Keymark Solar Certification. The variables are the incident sun’s radiated power in Watts/m2 and temperature differential between the fluid media and the surrounding air temperature. As a residential general contractor, I first started researching solar hot water and heating systems for an off-the-grid customer looking to convert their hot water and in floor heat to solar. Their goal was to pretty much eliminate their propane bill, which is exactly what we did. I was so impressed with the results of the Northern Lights Solar Solutions system I installed for them, that I was compelled to install a system for my own home. My home, located at 10,000’ elevation, is in the central mountains of Colorado. We are south facing, backed up to the Continental Divide, in an area of very cold snowy and windy winters. To our advantage, Colorado has on average over 300 days of sunshine per year, making it an ideal location for solar energy gain. The Northern Lights system I installed includes 90 evacuated tubes mounted on the ground, and a 120 gallon double heat exchanger solar hot water storage tank controlled by a FloCon C+ Solar Working Station, Willow Pump and DeltaSol BS Plus integrated controller. The system has been up and working for 2 months now, and has thus far supplied us with 100% of our hot water AND is heating approximately 25% of our home. Today, a typical day in December, our outside temperature was 16 degrees Fahrenheit and rose to 36 degrees. The sky was mostly sunny with a few clouds. We started out the day with the water in our tank at 123 degrees Fahrenheit. At the end of the day, that temperature is at 183.7 degrees Fahrenheit… a gain of 60.7 degrees! I have found that no matter how cold the temperature gets here, the evacuated tubes ALWAYS make heat. That is in direct contrast with the flat panel systems I have seen. We are very pleased! 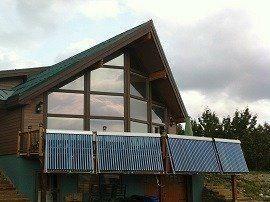 We are so impressed with our solar heating system. After 3 years we have determined an annual average savings of 72% of our heating bills. This amounts to about $2200 year and a payback of under 5 years given the 30% federal tax credit. I would highly recommend Northern Lights Solar Solutions. Before I bought I researched a number of companies and found the most comfort in both their knowledge and the easy of installation of their system. Anyone thinking of installing solar needs to make these guys their 1st stop. On sunny days in a Kansas winter ( -10 to 35 F) the system can heat 100 gallons of 60 degree F water to well over 100 degrees. In the spring I was able to raise the temperature of my 8' x 15' x 4' endless pool from it's 50 degree winter temperature to a comfortable 85 degrees in just 2 days via the pool heat exchanger. I purchased extra water to air exchangers as well as pumps and thermostats as I will be trying many combinations of utilizing the free hot water supply. I am also considering supplementing the hot water supply with a wood fired boiler on cloudy days. When and if it becomes remotely economical to convert sun to electric you can see by my pictures I have lots of south facing roof space as well as peaks for six foot Honeywell turbines. We are writing this in reference to Mike Stelling's general contract work. We hired Mike to install a solar domestic hot water/radiant floor system. Mike researched the best options for our system, considering the size of our home, the space available to install the collectors and storage tanks, and our prior year's heating costs. One of his proposals was based on newer technology (Northern Lights Solar Evacuated Heating Systems) than the traditional flat plate solar collectors of the 70's. The Northern Lights Solar Heating System met our expectations of the amount of heating provided in the space that we had to install the system. So far the installation has performed very well, our domestic hot water needs and radiant floor heating needs have exceeded our expectations of the system. Our propane use for heating and hot water have been vastly reduced from last year. We researched many technologies looking to supplement are very high heating bills in Northern Ontario. Geo Thermal simply did not have the payback we were looking for so we decided to try solar heating using heat vacuum tubes for our cold winter months. We were so impressed we added it to both the shop and the house. We have had so much positive response that we approached Northern Lights Solar about the possibility of a dealership. Now we are marketing solar to local businesses with the ability to positively say that this technology is the only way to go! Last year I got a quote from you for a solar heating unit for my house of about $8000. I thought it was too much at the time. There is a company in the next town from me so I asked them for a quote. They said it would be about $5000 for a flat panel drain back system ,so I ordered their system. I was miss lead. The original quote left out many items and I had to buy $400 of copper pipe and connections on my own and now the drain back doesn't drain back and I have to get $800 worth of antifreeze.My total cost now is close to $8000 and I still want their installer to come and check my system. I was at your shop in Winnipeg last year and your staff there seemed much more professional and knowledgeable . I am sorry now that I just didn't purchase your system. Northern Lights Solar Solutions. I confirm that in October, 2009 I hired Northern Lights Solar Solutions for the installation of a residential solar hot water/home heating system. We had been conversing since March, 2009 regarding the potential install of this system, and during this time they had provided me with expert and thorough support to my many questions in the areas of site optimization and system configurations. I can confidently recommend Northern Lights Solar Solutions as a solid and reliable supplier, installer, and experts in their field. Dan, thought I would send you a reference letter on your DIY solar system that we installed last year. First let me say your instructions were very well layed out and made it very easy for a 1st timer to understand and follow. We had the system up and running in a weekend. My wife always wanted radiant floor heating so we ran PEX piping in our great room under the joist in the crawl space and it is a delight on those cold winter days. As for hot water, our supply is endless and we have never run out even with 3 teenagers showering 1st thing in the morning. I would recommend Northern Lights Solar Solutions to any of our friends. Given the extremely high cost of propane in our Northern Camp, solar heating made such sense. The 1st season of operation we used less than 1/2 of our normal propane usage which was a savings of over $50,000 USD. We estimate the entire installation to have paid for itself with in the 1st year. I would highly recommend Northern Lights Solar Solutions for any commercial design and installation. They came in on time and on budget which is what most businesses require. Most importantly the system delivered the savings we were looking for. I saved 1000kw of power last month and I'll save even more now. the solar is pretty well heating the house. Since I install the TED energy detective.com, I have been able to tweak the floor temp and put more demand on the solar. I'm running the numbers (TEMP) you suggested and it cycles about every 15 minutes. It's a pretty sight watching the numbers rise that fast. Please use me as a reference any time you need to. Your service and engineering is top shelf. Northern Lights Solar Solutions supplies the City of Calgary with 16 SunRain Solar vacuum tube collectors for the Calgary Zoo to supply heating to the ENMAX conservatory. 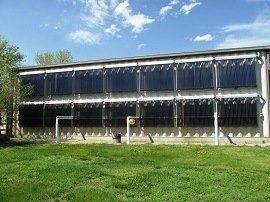 Largest Solar Space Heating project in Western Canada! 18 x TZ58 1800 30R collectors for heating 16,000 square foot shop with hydronic radiant floor heat in concrete. This solar heating project uses 17 x TZ58 1800 30R used to heat 2400square foot concrete slab work shop with Modine Over Head Water Heater. Incorporates 1 x 500 gallon storage tanks, and external dissipator. This project integrates with domestic hot water providing the customer nearly 100% of their hot water needs. In the winter time the excess heat is dumped into a heat exchanger that runs with his in floor heating system.